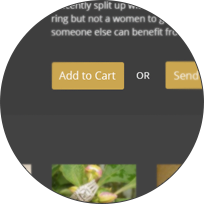 platform for buyers and sellers of diamonds, jewelry & watches. Find your perfect item today! Browse through the IDNID Marketplace to select an item. Once you find something of interest, simply click, “Add to Cart” to either continue shopping, or proceed to checkout. By proceeding to checkout, you will be directly connected to our secure payment page. Once you purchase an item, the seller has 7 business days to ship or deliver the item to IDNID. Your payment will be held in escrow by IDNID until the item is received and authenticated by our team of expert gemologists. 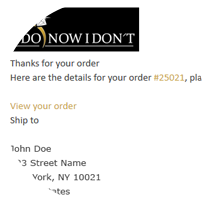 You will receive a verification e-mail when the item you've purchased has been received by IDNID. You will receive a second e-mail when the item has been authenticated. At that point, we will send the item to you and the release the payment to the seller. 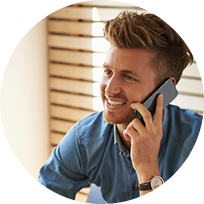 During the authentication process, If IDNID finds the item to be inconsistent with its description, you will be notified immediately and automatically issued a refund. Please be aware that facilitating transactions with Buyers or Sellers outside of the secure IDNID platform may result in fraud. There is no charge for creating an account on IDNID. Buyers pay 2.5% commission on the agreed upon purchase price. Typically buyers save between 40% to 70% off retail prices. I Do Now I Don’t ships to buyers by UPS Standard Two-Day Service. That means there are no deliveries on Saturday or Sunday or to P.O. Boxes. You return the item to I Do Now I Don't within seven days of receipt. 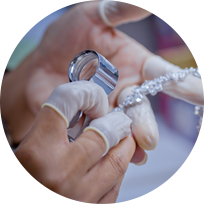 Our team of gemologists confirms that the item is the same piece that was originally sent and in identical condition. Once the above criteria is met, IDNID will issue a one time site credit, valid for 30 days. This will be calculated as the purchase price minus a 15% restocking fee. For example a purchase of $1000 will give you a $850 credit.